Hi lovelies, I hope you all had a wonderful Christmas? I know that 'what I got for Christmas' posts are quite controversial in the blogging world, with some us loving them and others hating them. Personally I really enjoy reading these kind of posts and hearing about what lovely gifts people received for Christmas, so I thought I'd give you a peek at some of the gifts I was lucky enough to receive this Christmas. There's nothing I like more at the end of the day than having a long soak in the bath and having a pamper with a face mask. 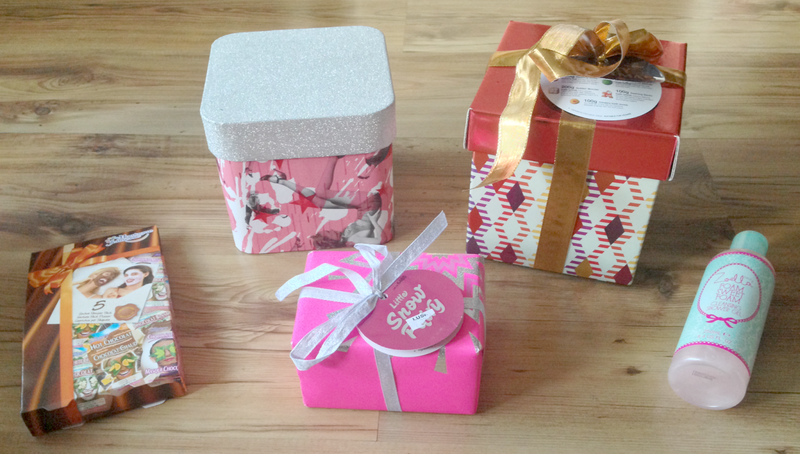 I was lucky enough to receive two LUSH giftsets will be perfect for my pamper nights -the LUSH Merry Christmas Giftbox, the LUSH Little Snow Fairy Giftbox are filled with some of my favourite festive LUSH products and I can't wait to start using them. I also received the Soap And Glory Bright and Bubbly Giftset from one of my lovely friends which is filled with some of my favourite Soap And Glory skincare products (oh and I love the packaging so much). I also received the Montagne Jeunesse Chocaholic Delight Facemask pamper pack which is filled with 5 face masks and the Zoella Beauty Foam Sweet Foam Showergel which smells lovely. 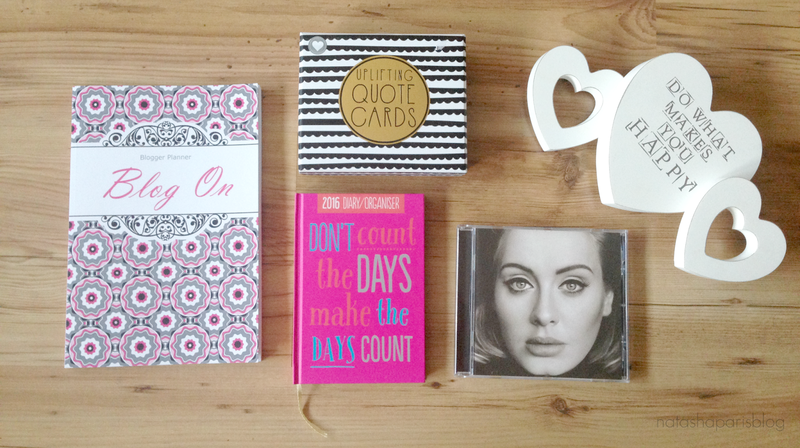 I received a blog planner which will be really useful for me when it comes to getting my content planned and organised in 2016. I also received a 2016 diary and uplifting quote cards, which are very Instagram worthy. Incase you haven't guessed I'm quite the fan of the inspirational quote.. haha. I also received Adele's 25 album which I have already popped onto my iPhone and I can't wait to listen to. My favourite Victoria's Secret body spritz has just started to run out and coincidentally I received the Victoria's Secret 'Tease' body spritz which smells amazing. 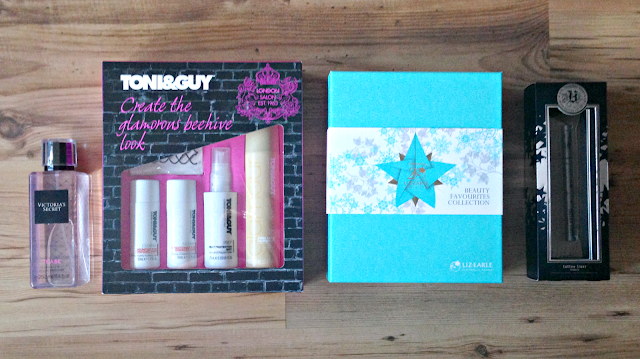 I also received the Toni and Guy Glamorous Beehive giftset and the Liz Earle Beauty Favourites Collection - both of which were high on my wishlist this year. The final item I'm going to show you is the Kat Von D Beauty Five Fearless Years Limited Edition Tattoo Liner (wow that's a mouthful) which I picked up on my parents behalf from Sephora whilst I was away this Summer, it's one of my all time favourite products so I'm glad to know that I'll be stocked up when my current one runs out. Aside from this I also received the usual things such as a new dressing gown, slippers and edible goodies.I also received a lovely new Daughter Pandora charm from my parents (which isn't photographed as its already on my bracelet which I'm wearing). Please note that in no way am I trying to show off and I am extremely grateful for all the gifts I received and I'd like to say another huge thank you to my friends and family (as I know some of you may read this). I'd love to hear about the gifts you received for Christmas, so if you'd like to share please leave me a comment or if you've done your own post please leave me a link so that I can pop over and have a read.